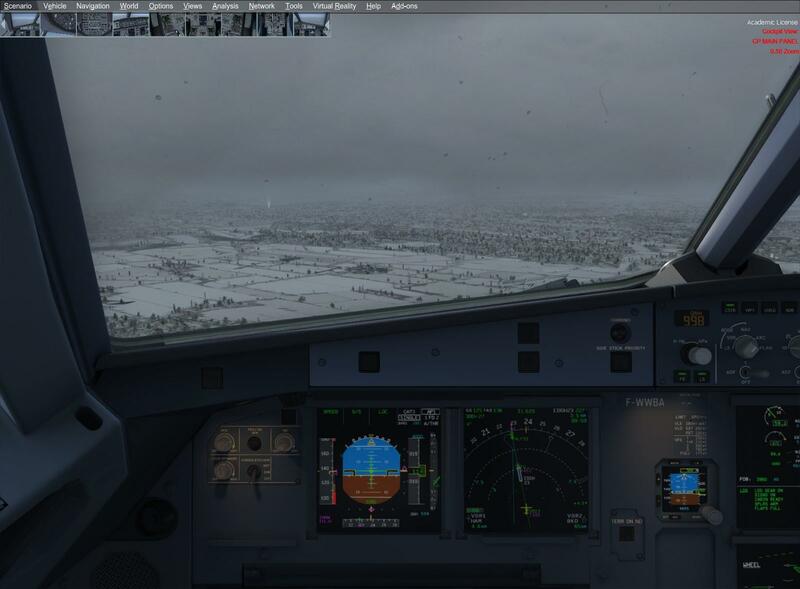 I have done a clean reinstall of Reallight and Trueglass (from the installers included with the Airbus) to fix my CTD issue. The airplane loads up and runs fine, and Reallilght seems to be working OK, but I am not getting any raindrops on the windshield even when on the ground in heavy rain. The rain (generated manually via ActiveSky) does appear on the weather radar. I read in another thread that there should be a menu item for Trueglass under the P3D Addons menu in-sim, but I do not have this. Maybe this is related to trueglass not working? All the DLL and shader files appear to be present and correct. Any thoughts would be appreciated. Is there a config file somewhere that I should be checking? As I'm away from my sim, I cant check it by myself, but when you start P3D, in the welcome screen click on Addons and IMHO there should be an entry for Trueglass, check that it is enabled. Thanks - unfortunately it is not there. Neither is Reallight although that seems to be working; at least, the cockpit lights dim properly so I assume it is. I am wondering if there is a config or xml file where I need to recreate some entry to make it load properly. I seem to be having the exact same issues as well. I've done a reinstall of Reallight and Trueglass, but still nothing. Both of them are not in the Addons area on the welcome screen either. Would really appreciate it if someone is able to find and help solve this. OK guys, just checked it and indeed there should only be an entry in P3Ds Addon menu for Trueglass, to en-/disable it. There is no entry in the Add-On Manager and there are no entries in configfiles like dll.xml. Yes, I seem to have all of those you have mentioned, however under Prepar3D v4\gauges\TrueGlass I do not have the file TrueGlass.ini. That seems to be the only file that I am missing. I removed the 2 .dlls and folders in gauges, and ran both installers again. Which installers, the Airbus installers? OK; maybe this is the problem. May I ask you to uninstall it , also uninstall the Bus and reinstall the Bus. Maybe the files are not created correctly. Ok, I will try and see if that helps, do I need to uninstall both the A318/19 and A320/21? @Ashrod_307 Yes, please uninstall both A318/19 and A320/21. And when you install them back the installer should ask you about RealLight and TrueGlass and install the latest version from TFDi servers. Once you run both of them there should not be any need for you to manually install them again. Hmm... 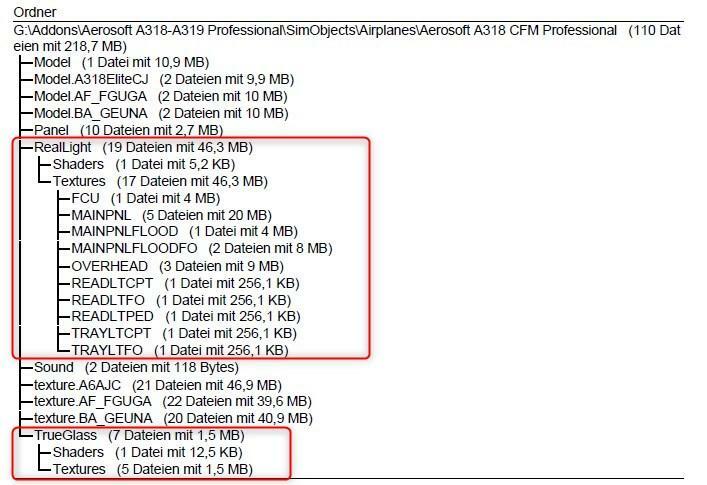 I think you already confirmed that you have TrueGlass.dll in your gauges folder as this dll file is what should bring that option up on the menu. Do you have any antivirus software installed that could potentially block that file from loading up? Also, I doubt this is causing the issue but might as well ask. Do you have any 3rd party shaders installed? Can you try to disable your antivirus while running the simulator and see if that helps? all files in place, RealLight and TrueGlass working, entry in the Addon menu. No need to go offline while installing. One thing I noticed is, that the TrueGlass.ini is only written, once you disable TrueGlass via the Addon menu. Great you got it sorted!